Officials at the Leningrad Nuclear Power Plant have said they will stop operations at their number one power unit in December in preparation for its eventual decommissioning – only the second such project Russia has ever undertaken. 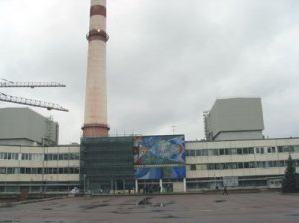 The generating capacity of all four of the plant’s reactors will eventually be replaced by units at the Leningrad Power Plant II, which is currently under construction in Sosnovy Bor, 70 kilometers to the west along the Gulf of Finland from St. Petersburg. The number one reactor, which went into operation in 1974, was among the first RBMK units built by the Soviet Union ­– one of which exploded at Chernobyl in 1986. Another three RBMKs were built at the Leningrad site throughout the 1970s, and these are expected to be taken out of service by 2021. Last Wednesday, Vladimir Pereguda, the plant’s director, told a press briefing that the process of fully decommissioning the reactor entirely is expected to about take eight years, with five of those spent on unloading the reactor’s spent nuclear fuel. Currently, Russia has taken on only one other full-scale decommissioning project on a commercial reactor. In 2011, Rosatom, Russia’s state nuclear corporation, shut down the first two units of the Novovoronezh Nuclear Power Plant with the aim of decommissioning them fully. Like the four RBMKs at the Leningrad plant, the older VVER-type reactors at the Novovoronezh will be replaced by VVER-1200 units at a new plant named for the old: The Novovoronezh nuclear power plant II. These three reactors therefore offer something of a test case for more than a dozen other reactors Rosatom intends to shut down and replace over the next 12 years. Aside from pressing environmental worries about how and where the resulting tons of spent nuclear fuel will be stored or reprocessed, it will be curious to watch how these projects are financed. Like many other countries operating nuclear reactors, Russia funds decommissioning and dismantlement on the back of electricity tariffs charged by its nuclear power plants. But where other countries have been collecting such tariffs for more than half a century, it was only in 1995, after the fall of the Soviet Union, that the Russian nuclear industry began earmarking a portion of its revenues toward the work of eventual decommissioning. As such, Russia’s decommissioning resources are lacking – a shortfall that has led often enough to Russia simply extending the runtime of aged reactors. In fact, all of the Leningrad Nuclear Power Plant’s reactors have been operating on various engineering extensions since the early 2000s. While runtime extensions are routine practice throughout the nuclear powered world, Russia has often been seen as taking the measure to extremes, with officials at the Kola Nuclear Power Plant near Murmansk seeking to prolong the runtime of reactors built in the 1970s until 2040 and beyond. The kind of money Russia spends on its decommissioning projects is meanwhile something of an official secret, leading many environmental groups to conclude that the government will simply have to divert money from other resources to get the job done. True to form, Pereguda made no mention of the cost of decommissioning the Leningrad plant’s first unit at his briefing last Wednesday. Though he did say the other three units would soon follow: Unit 2 in 2021, and units 3 and 4 in 2025 and 2026.